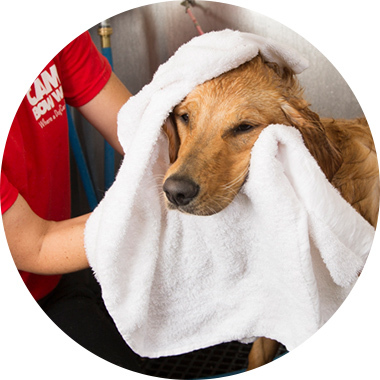 Contact us at (303) 442-2261 to learn more about our dog grooming services. Includes basic brush-out, oatmeal shampoo & conditioner, towel, or blow dry. Includes thorough brush-out, specialty shampoo, specialty conditioner, nail trim, and ear clean. Package of 5 session brush-outs with the FURminator® to reduce shedding.